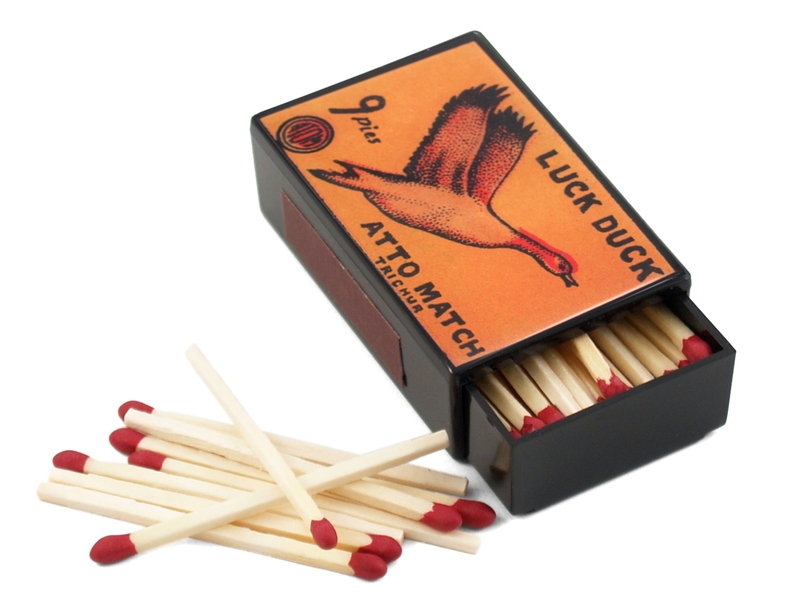 This vintage-style match box, just like the old-time lacquer boxes, closes shut with a pleasing snap. 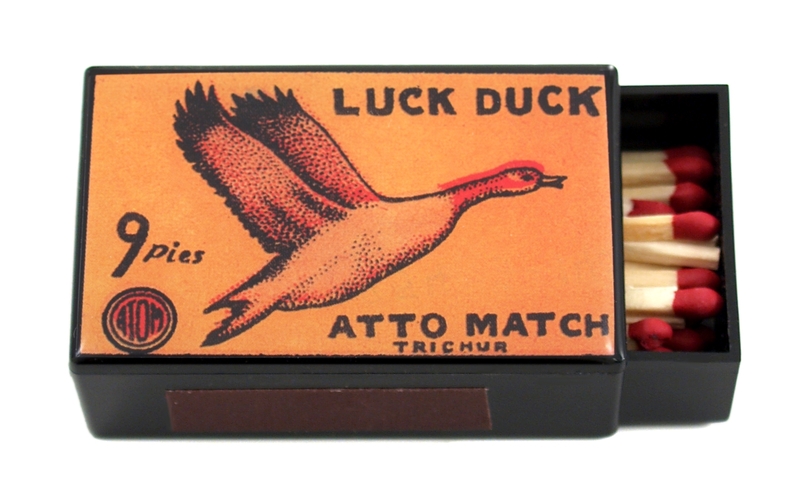 This box features an advertising logo for Luck Brand Atto Match with a coordinating vintage-look yellow background. Each box includes matches and a striker on the side.